A devout Christian, humanitarian, Union spy, and suffragette, Harriet Tubman rescued over three hundred slaves in nineteen missions to the South using the Underground Railroad. On November 10, Utopia Opera will present the New York premiere of The Story of Harriet Tubman by Thea Musgrave. Will Remmers, artistic and music director of Utopia Opera, conducts this production directed by Viktoria I.V. King, an award-winning British-American director, producer, writer, and photographer. ...slavery is the eternal struggle between two principles which have stood face to face since the beginning of time, and which will ever continue to struggle. The one is the common right of all humanity; the other is the divine right of kings. Slavery is the spirit that says 'You work and toil and earn bread, and I'll eat it!' No matter what shape it comes in it is the same principle. "At one time or another, most of us have asked the question ‘but what can one person do?’ Harriet Tubman is an inspiration to those of us who despair of being able to make any positive change in the world in which we live. 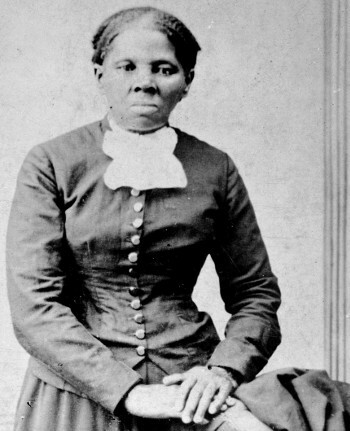 Black people do not lack for heroes and heroines, but Harriet Tubman certainly deserves an exalted place in the history of mankind's struggle for human rights." Tickets for performances at Lang Recital Hall, Hunter College, can be purchased here. The celebration of Thea Musgrave @ 90 continues. Find a full list of upcoming performances here. Purchase the American premiere recording of her Mary Queen of Scots on ArkivMusic here.